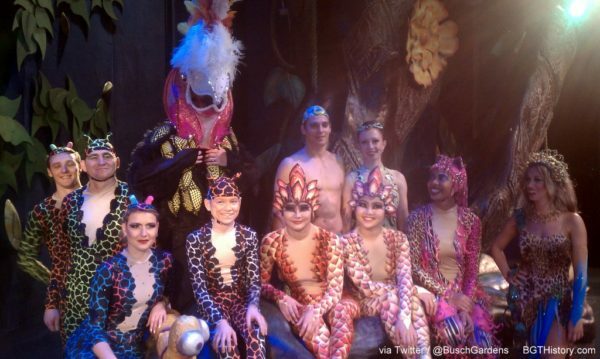 Billed as a groundbreaking theatrical, acrobatic and musical adventure, Cirque Dreams Jungle Fantasy was a limited engagement show that was performed in the Moroccan Palace Theater while Iceploration was under development. More is coming this winter – the groundbreaking Broadway hit created and directed by Neil Goldberg – Cirque Dreams Jungle Fantasy. Experience this exotic encounter inspired by nature’s unpredictable creations and brought to life by an international cast of soaring aerialists, spine-bending contortionists, acrobats, musicians and spectacular costumes beyond your wildest imagination. Nominated for “Best Costume Design” by the American Theatre Wing, this inventive theatrical journey is action-packed with astounding feats that will leave audiences spellbound. Cirque Dreams Jungle Fantasy will usher in more of what fans have come to love and expect from Busch Gardens — incredible stage shows, the likes of which cannot be found at any other theme park in the nation. A groundbreaking theatrical, acrobatic and musical adventure is coming to Busch Gardens Tampa Bay this winter for a limited engagement. 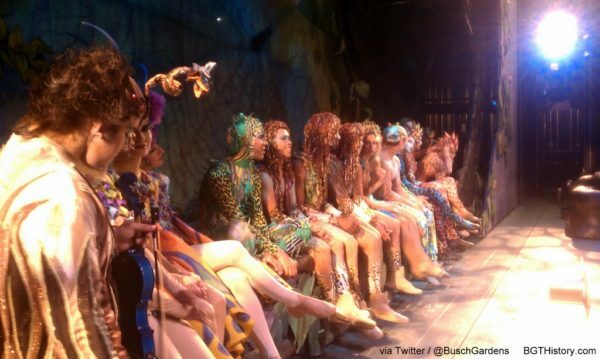 Cirque Dreams Jungle Fantasy will open December 3 in Busch Gardens’ Moroccan Palace Theater. Created and directed by renowned theatrical and circus impresario Neil Goldberg, Cirque Dreams Jungle Fantasy is an exotic encounter inspired by nature’s unpredictable creations, brought to life by an international cast of soaring aerialists, spine-bending contortionists, acrobats, jugglers and musicians. The astounding feats performed in this action-packed Cirque Dream are enhanced by spectacular costumes, which were nominated for an American Theatre Wing Best Costume Design Award. The journey comes to life in a fantastical jungle setting filled with flora and fauna that inspire a variety of endless imagination. From the Butterfly Ballet and Flipping Monkeys to the Hopping Frog Jugglers and Stretching Lizards, this world-class explosion of athleticism and Broadway theatrics will exhilarate and entertain audiences of all ages. 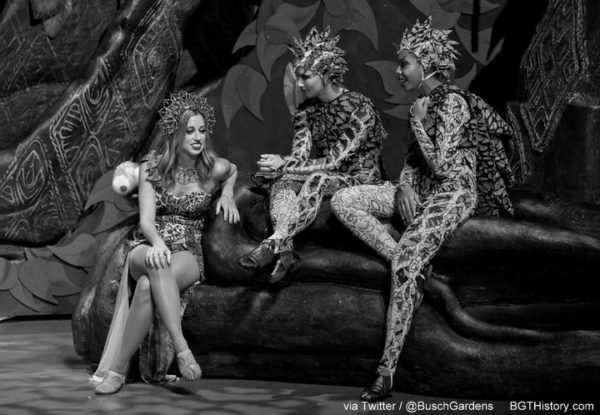 “Cirque Dreams Jungle Fantasy will bring to audiences what fans have come to love and expect from Busch Gardens — incredible stage shows, the likes of which cannot be found at any other theme park in the nation,” said Busch Gardens’ president Jim Dean. 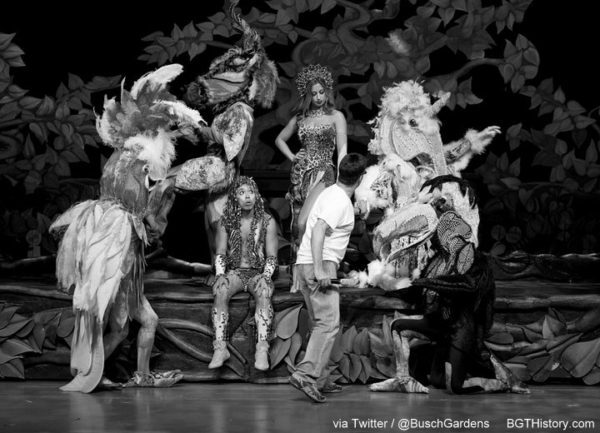 The Broadway storyline will remain intact in the Busch Gardens’ rendition of the show. 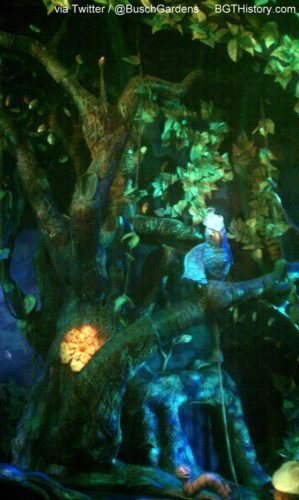 The lead character, Mother Nature, leads her Jungle Boys through an adventure of sound, light and movement. 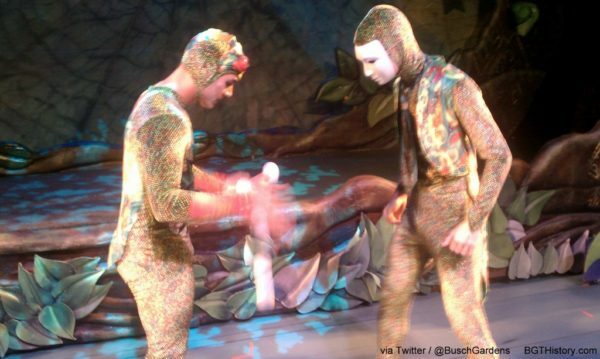 The vibrant jungle first comes to life with award-winning costumes, then transcends imagination. Some highlights include artists trained at the State School of Contortion in Mongolia reenacting flexible lizards; rhythmic jugglers from Cuba and Russia portraying frog musicians, and manipulation and aerialists from Russia, Ukraine and Uzbekistan soaring as butterflies displaying feats beyond belief. All this and more added to Cirque Dreams signature production style, original score and whimsical audience participation will make Cirque Dreams Jungle Fantasy a feast for the senses and a wild entertainment experience at Busch Gardens Tampa Bay. 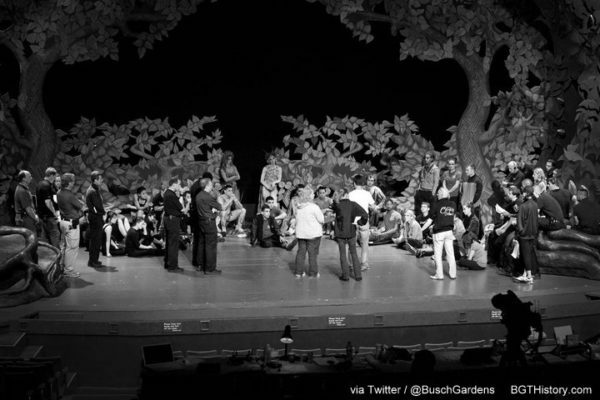 The park shared several behind the scenes images from the final dress rehearsals through their social media accounts on November 30. The first public performance was held on December 1, 2010 at 11 a.m. and included media and pass members as guests. In addition to that showing, previews were also held for annual pass members at 5 p.m. that day and at 11 a.m. and 5 p.m. on December 2. 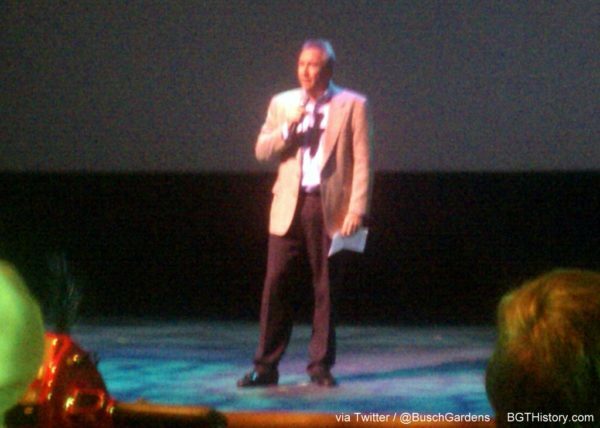 Busch Gardens shared several images from the first show on their twitter account, which included a short introduction by park president Jim Dean. 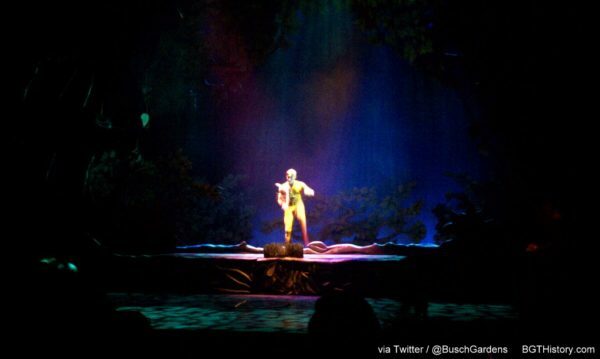 Cirque Dreams Jungle Fantasy officially opened to the public on December 3, 2010. There are three different jugglers, all with a distinct style of their own who share duties in the show, as well as three pairs of exotically beautiful, Mongolian contortionists, three dare devilish balancing acts, and three breathtakingly beautiful, aerial acts, along with a host of dancers, acrobats, singers, and musicians. All performers mix and match a bit during the day so each show is different, so you never know who – or what — you’ll see next. The show won a Brass Ring Award in the Live Entertainment Excellence category for Best Overall Production $200,001 – $400,000 at the International Association of Amusement Parks and Attractions (IAAPA) Attractions Expo in November 2011. 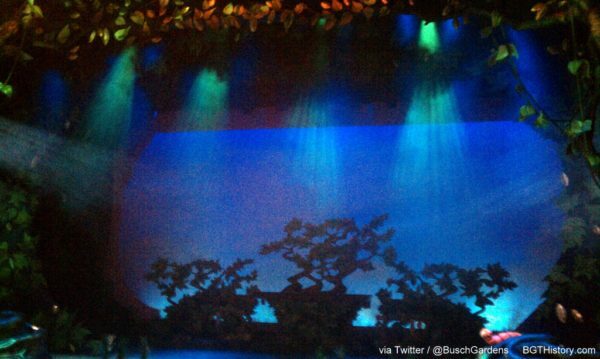 Additional details and images from Cirque Dreams Jungle Fantasy will be added in the future.